You can most definitely get a kickass curry in England. eating food imported from other cultures while in england is fine. its eating that dross the english call food thats the problem. Rays take 3 of 4 from Houston. Wow! Just imagine how good they would be with a fan base! It's interesting to that all 5 of Candelario's hits today went up the middle or the opposite way. Could be a fluke but could also be maturation. His swing definitely looked more inside out today. Two of them were ducksnorts. The first one was a shallow blooper that landed, what, 20 feet behind the third baseman. He had another one that didn't come cleanly off of the bat. I want to say that he was trying to go the opposite way in the first at bat, but who knows. It wasn't an emergency hack, it was a clean swing. I just wonder if he was intentionally letting the ball get deeper into the plate before swinging? I don't know. But, hey, clean hits or not, they were hits and combined with his defense today, he had a darn fine day. Those bliners will make up for the hard outs that will inevitably happen during the course of the season. Maybe McClendon simply told him to get 5 hits today? the rbi hit to left I looked to me to be the most intentional. Cabrera is batting .455 with two home runs and an OPS of 1.552! Oh. It's Asdrubal Cabrera. Never mind. It’s amazing that this team is 3-3 after scoring only 10 runs in six games. If they actually start hitting and the pitching remains decent, this is going to be a very pleasing way to open the season. But Zack Greinke is not 3-3. Or could be that age has slowed his bat down. Is the pitching so far this season a mirage or the real deal? Shane Greene leads the Majors in Saves. Which serves to show just how unimportant that stat is. Is your critique more about Greene or about what the save statistic itself represents? The Tigers have hit two times as many homers as the Twins and the Angels this season that have each hit one. JD has hit 3 himself. I didn’t realize that Blaine Hardy played college ball at Lewis and Clark State College in Idaho. It’s almost like we’re brothers now. I have the same tenuous link to Harmon Killebrew and Walter Johnson. I have been overseas for the first week of the season, but even from thousands of miles away, I marvel. WTH is with this team and staff of strikeout pitchers? Does it make me a bad person that I enjoy seeing the Red Sox, Cubs, Astros and Angels (Ausmus) struggling in the first week? It makes you a great american. Here's some educational off-day reading. In the early days of baseball, bats were made from a wide range of woods. Shoeless Joe Jackson's famous "Black Betsy" was made from hickory, for example. Willow and oak were also commonly used. But by the 1930s, almost every bat was made from ash, a soft wood that was surprisingly durable. When Ted Williams hit .406? Ash bat. When Roger Maris broke Babe Ruth's home run record? Ash bat. When George Brett lost his mind? His ash bat had too much pine tar. 1996: While drinking at a bar in Ottawa, Rockies scout Bill MacKenzie mentioned to local carpenter Sam Holman that ash bats kept breaking. Was there anything Holman could do? Feeling inspired, Holman began making bats out of maple and testing them with the local minor league team, the Ottawa Lynx. A year later, he convinced three Blue Jays — Joe Carter, Carlos Delgado, and Ed Sprague — to use his bats during batting practice. Verdict: They liked them. Heck, Carter was so smitten that he snuck one into a game later that season — and promptly hit a home run. The maple bat had arrived. 1998: While finishing his career with the Giants, Carter convinced Barry Bonds to try a maple bat. The rest, my friends, is history — with an asterisk next to it, of course. Bonds hit 73 dingers in 2001, and broke Hank Aaron's home run record six years later — all while using a maple bat. 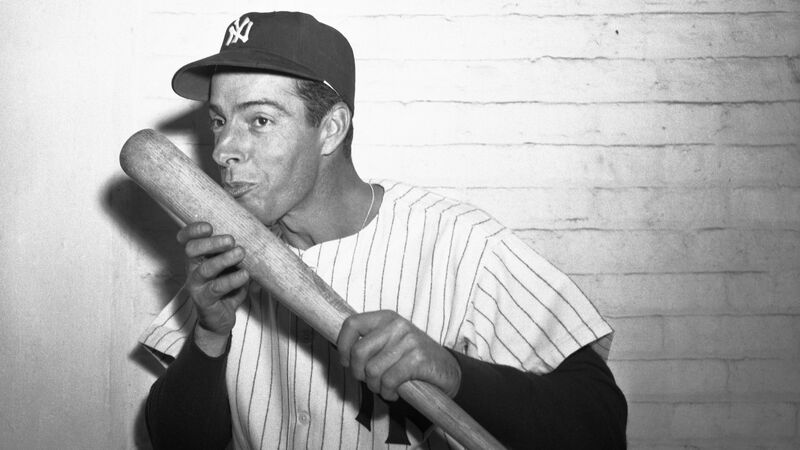 This helped maple's popularity skyrocket, and last season, roughly 75% of major leaguers swung maple bats. 2018: Birch is a relatively new wood for bats that surpassed ash in popularity for the first time last season, per FanGraphs. "Birch tends to last better than maple," said the guys at Birdman Bats. "[It] has that flex, so if a player doesn't like that, he's going to stick to maple. It's kind of like a graphite shaft versus a steel shaft in golf." The end. You are now a bat expert.